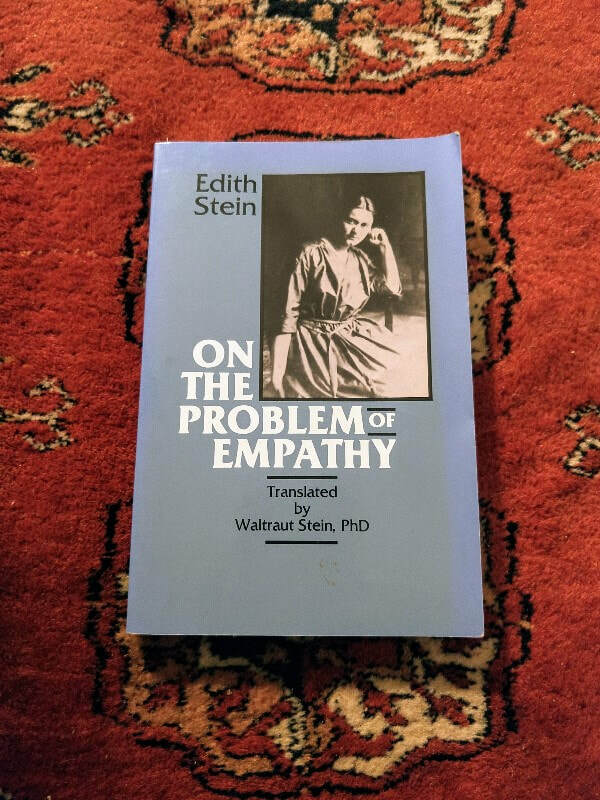 Edith Stein studied philosophy under Edmund Husserl. Stein defended her dissertation, which detailed her findings and ideas within phenomenology in 1916. The text was first published in German a year later, in 1917. I would like to go back in time and collaborate with Edith Stein to illustrate this text with plates, drawings, and diagrams. Catherine Fairbanks's work questions empathy, its qualities and its limits as a contemporary construct. Her sculptural work manifests as performance, sound and ceramics, and has been exhibited nationally and internationally. She received her MFA in Sculpture from the San Francisco Art Institute in 2010 and has attended national and international residencies, including the Skowhegan School of Painting and Sculpture, the National Textile Institute in Iceland, where in 2014 she produced her solo exhibition Empathomimesis, and most recently the Wool Factory AIR in Barcelona. She maintains a dual pursuit as a critical care nurse in an urban medical center and has been a visiting lecturer at Otis College of Art about The Aesthetics of Empathy, and at the UCLA Ronald Reagan Medical Center where she presented a talk titled Art and Empathy. Fairbanks’s solo exhibition, Two Chimneys, was a critic’s pick in ArtForum in 2016. She currently has a solo exhibition at A-B projects (251 E 10th Street, Suite 113, Claremont CA, on the campus of Claremont Graduate University, Mon-Fri from 9am-5pm), a project space curated by the Lincoln Teaching Fellow, Nicole Seisler. She is represented by Wilding Cran Gallery in Los Angeles.